Sin amargura ni sentimentalismo, Francisco Jiménez termina de contar la historia de su juventud en esta conmovedora secuela a Cajas de cartón. 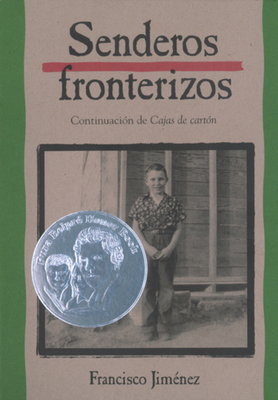 At the age of fourteen, Francisco Jimenez, together with his older brother Roberto and his mother, are caught by la migra. Forced to leave their home, the entire family travels all night for twenty hours by bus, arriving at the U.S. and Mexican border in Nogales, Arizona. In the months and years that follow, Francisco, his mother and father, and his seven brothers and sister not only struggle to keep their family together, but also face crushing poverty, long hours of labor, and blatant prejudice. How they sustain their hope, their goodheartedness, and tenacity is revealed in this moving sequel to The Circuit. Without bitterness or sentimentality, Francisco Jimnez finishes telling the story of his youth. Francisco Jiménez emigrated from Tlaquepaque, Mexico, to California, where he worked for many years in the fields with his family. He received both his master’s degree and his Ph.D. from Columbia University and is now the chairman of the Modern Languages and Literature Department at Santa Clara University, the setting of much of his newest novel, Reaching Out. He is the award-winning author of The Circuit, Breaking Through, and La Mariposa. He is also the recipient of the John Steinbeck Award. He lives with his family in Santa Clara, California.